Annabel Anae, has been an audiologist for over 25 years. She is a graduate of Brigham Young University-Provo, Utah with both her Bachelor's and her Master's Degree in Communication Disorders with an emphasis in Audiology. She received the "Outstanding Graduate Student" award while a graduate student at BYU-Provo. She is currently working on her Doctorate of Audiology degree. She has recently returned home to Hawaii with her husband Allen F. Anae, a general surgeon at Straub Hospital in Honolulu. Annabel's first audiology position was with the Hawaii Department of Health as the Central District Audiologist, for Hawaii's "Hearing & Vision Program" for school-age children, ages 3-21 years. She became the Head Audiologist for the State of Hawaii within a few years and was able to be involved both in the provision of audiology services to Hawaii's children as well as being involved in administrative justification and administrative support for the statewide program, involving 7 Audiologists and 13 Audiometric Assistants. She is the recipient of the National "Louis M. DiCarlo Award" given by The American Speech-Language-Hearing Foundation, for outstanding clinical achievement and human communication sciences and disorders. In 1991, Annabel left Oahu with her husband Allen as he began his surgery residency in Los Angeles, California. During this time, she was able to work as an audiologist with Hearing Care Associates, a private clinical audiology company with over 10 offices in the Los Angeles area. She was the managing Audiologist of their Lakewood/Long Beach, California office. In this capacity she provided audiological evaluations, ENG (balance testing), ABR (Auditory Brainstem Response) evaluations, Hearing Aid Evaluations, Hearing Aid Fittings and was responsible for securing contracts with neighboring HMO's and IPA associations. In 1996, Annabel founded "Hearing Services West" a private clinical audiology company. Hearing Services West provided complete audiological services and hearing aid services with Locations in the Los Alamitos Medical Center and Torrance's Del Amo Medical Center. In this capacity she worked closely with Primary Care Physicians, Ear Nose and Throat Physicians, Various HMO and IPA associations and various insurance carriers. She was the owner for over 16 years and sold her practice in 2012. In August of 2012, she was a proud London Olympic spectator as her daughter, Tumua Anae, received a Gold Medal as a member of the USA Women's Water Polo team. Annabel's greatest achievements have been her marriage to the love of her life (32 years strong), her 2 daughters, Jordan and Tumua and her 4 grandchildren (soon to be 5)! For the last 2 1/2 years Annabel has had the privilege of working with many Audiologists here on Oahu. In, 2015, "Hawaii Mobile Audiology & Hearing Aids, LLC" was born. Hawaii Mobile Audiology & Hearing Aids, LLC will get in the driver's seat and bring excellence to you, you can relax in the comfort of your home. We Bring Hearing Home! 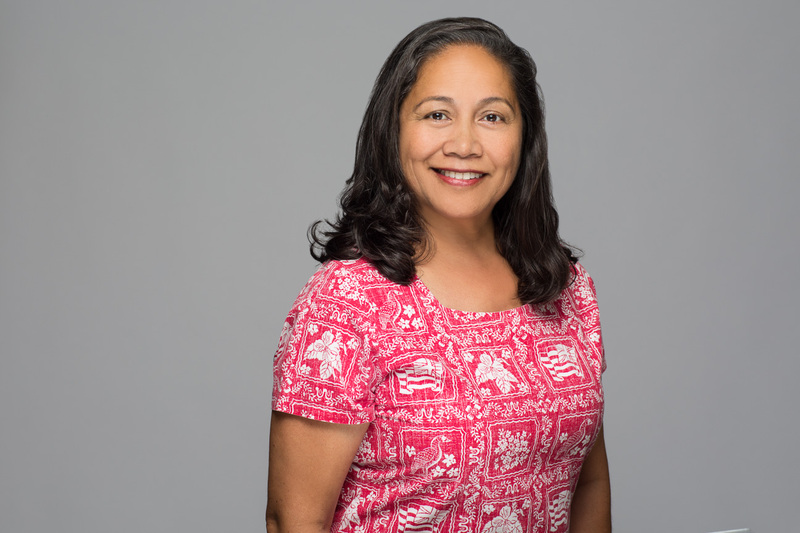 Jordan Moala serves as the executive assistant to our head Audiologist, Annabel Anae. Jordan is an accomplished collegiate athlete and a graduate of the University of Southern California. She currently resides in California with her husband and their four young children. Jordan brings great communication skills to the services we provide at Hawaii Mobile Audiology. We provide earplugs and custom ear molds to protect hearing and prevent hearing loss for swimmers, hunters and musicians. We offer extensive hearing care services and hearing loss solutions. You're Only One Step Away From Better Hearing! Contact us today to set up an appointment with one of our audiologists and discuss your hearing health! Hawaii Mobile Audiology & Hearing Aids provides a choice to have complete hearing services within the comfort of your home, let us worry about the traffic!